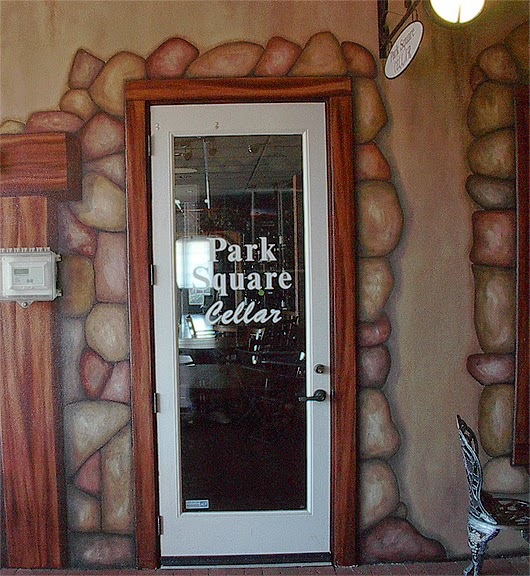 I painted this wall mural for a store that sold primarily wine. It was a challenge to get some good pictures of it because it was painted in a hallway and I couldn't get back far enough to take them headon. So as you enter the hallway I painted on both sides of it. The walls are 11 feet high and the width of the hall way is 12 feet. Each side is 35 feet long. This first shot is to the left as you enter the hallway. 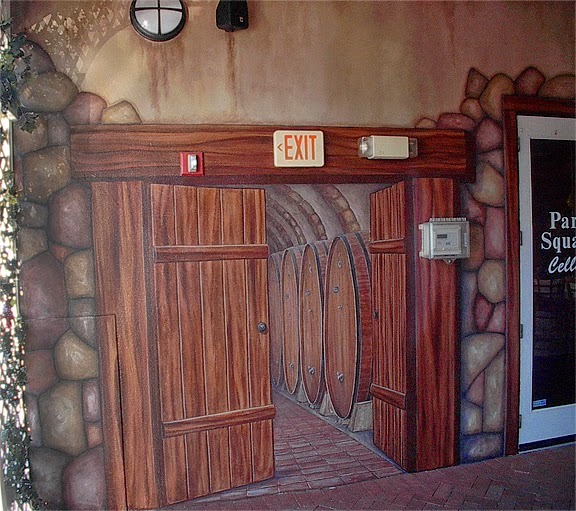 This is the wine storage room I painted. To me this was great fun creating the 'barrel cellar'. Instead of painting a plaster breakaway look I painted the stones around the openings as if they were in front of the aged plaster. I gave them a real three diamensional look and they came out great. The next photo shows the front door. 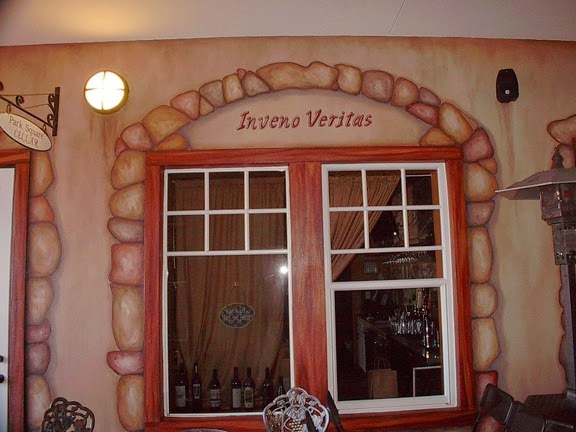 'Inveno Veritas' latin for In Wine There Is Truth. The store has a nice bar area right inside these windows and a couple of small tables. Then in the hallway area there are several small tables. 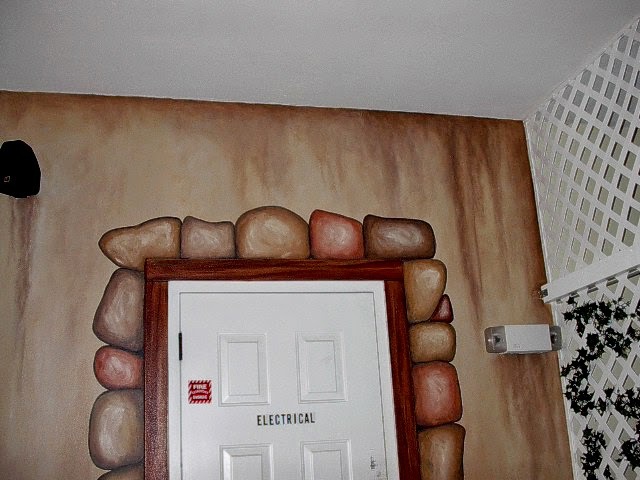 This is a nice photo showing the aged look I gave to the walls. 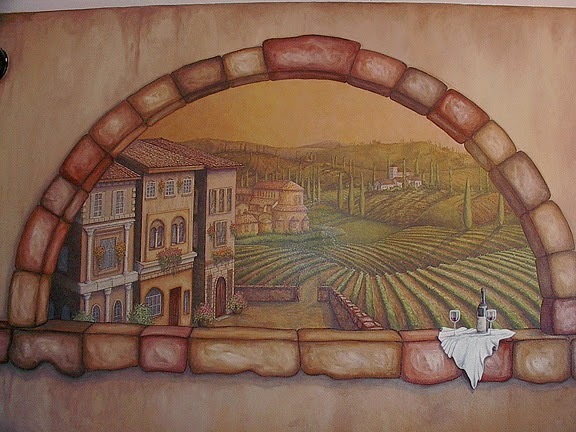 On the large wall opposite of the door I painted this part of the mural to look like an opening in the wall that lets you look out onto the Tuscan countryside. This part of the mural is 12 feet wide and 6 feet high. 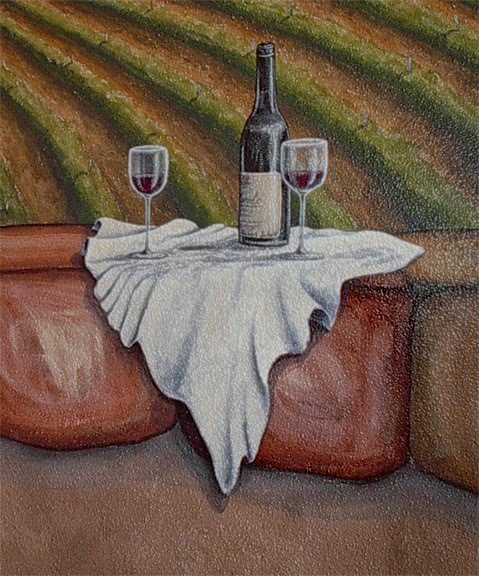 Here is a nice little close up that really sets off the piece.